Alexander McQueen, Gucci and H&M – having talked so much about these brands it is now time to finally have a look at the fashion market and how it is structured to understand that each level of the market requires a different marketing strategy. 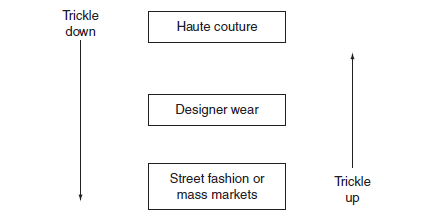 Every brand or label can be pushed into one category of fashion of which there are three simplistically speaking: haute couture, designer wear and street fashion. While each market belongs to one category, customers cannot as easily be qualified. Looking at these levels a little closer, it becomes clear why. Everyone wants to have it – only a few can afford it. I am speaking of haute couture. 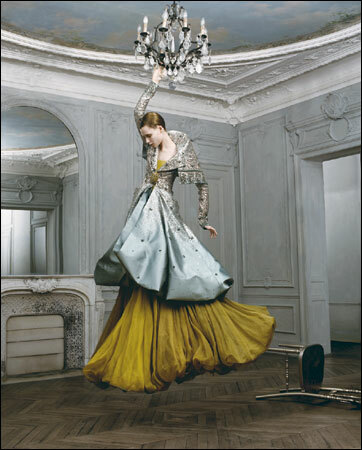 Haut couture houses are the major fashion houses of the world, run by recognized, internationally famous designers. To name just a few: Chanel, Prada, Fendi and my number one Alexander McQueen. The most important marketing channel for this group are the runway shows twice a year where they have the chance to present their creations to the public. However, the catwalk shows do not only promote the garments but also any other items such as accessories or perfumes. Of course, this level presents the smallest portion of the market. 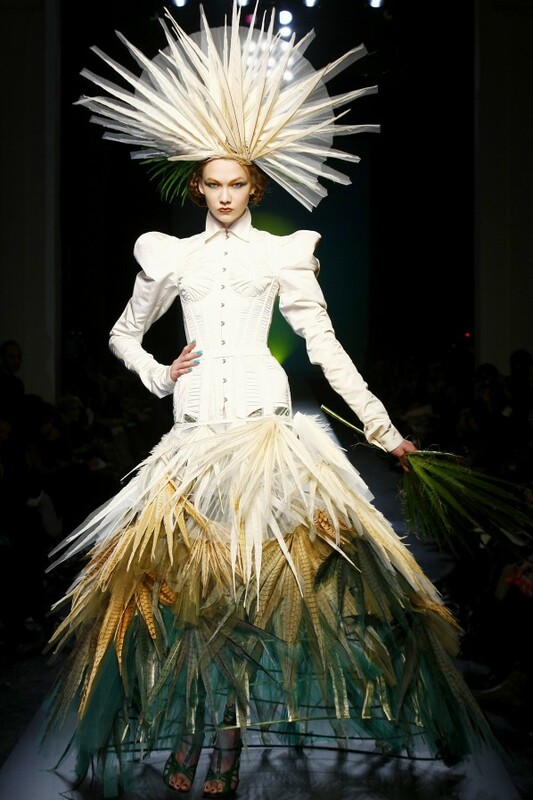 The question that arises is: What is it that makes haute couture so desirable? It is the uniqueness of these creations and the feeling of being the only one possessing this special garment for thousands of dollars! And after all, every woman wants to be and feel special and we often tend to think that looking special is equal to being special. This is the main factor marketing at this level responds to. But there is hope for all of us not going to marry a millionaire to obtain a designer piece. Those of us not as wealthy can obtain a designer piece that is pret à porter which presents the second level of the fashion market. Although the garments are still highly priced, they are produced in greater masses than haute couture under strict quality control. They are to be found in designers’ shops, independent stores and some of the more exclusive department stores. Wearing pret à porter means success, selling a pret à porter line means the same. The move into ready-to-wear clothing by designers meant that they could afford to offer their stylish designs and high quality to a wide audience. Gucci, Marius and I have already talked about, is part of this level of the fashion market for instance. The customers shopping pret à porter demand luxury for the every-day wear. Therefore, marketing on this level concentrates on the pieces being luxurious but still affordable. Still too expensive? Welcome to street fashion-the market area where most of us buy our clothes. It is the fastest moving sector of the fashion market that is also undergoing many changes. In this area, fashion is bought at street stores. H&M, Zara, Weekday and all the other stores you go to are part of this group. Marketing at this level concentrates on being stylish and at the same time available for everyone. But do not be disappointed because you do not have any designer wear. To say it with someone else’s words: “What the customers lose in exclusivity, he makes up for in value.” In addition to that rather not comforting argument, we can find more and more celebrities who also buy street wear mixing it with designer pieces. I, for example, bought a jacket I saw Rihanna wearing in one of her videos just days later and it is only H&M! But it also goes the other way round! My friend has a Louis Vuitton that she simply worked hard for and Caroline is thinking about getting these really expensive shoes. What I want to say is that it is not the price that matters. Do not let the industry dictate you, dictate it! Do not let them push you into boxes! It’s well structured, informative and emotional at the same time. i liked how you give your personal opinion in the end, giving examples from your personal experience. i just got a question: can for example Gucci be separated from Chanel or Prada in target audience? I always thought they belong to the same market, and both brands have different types of collections. pret à porter for everyday wear and haute-couture that is high fashion and gives the main designer concept and is for special occasions and limited in production. Hi! Thanks for commenting! Yes, they cannot directly be separated. Only when it comes to the different collections, like you said, haute couture and prét-à-porter, the different lines may be separated. If you look at their collections and company history more closely, however, you will find that they do attract a different target audience but just because of style! Thanks Katharina, it was really interesting for me to read yor post and I can’t but agree with Anastasia’s comment, that your post is well structured, easy to read, informaive and pleasant for visual perception as well, colours, design, the choice and structure of pics. On my opinion, the haute couture gives us hints and idea what to wear in the next season to look trendy. And even if we are not able to buy even a pret-a-porte, we could in a way creat our own style based on those things that are available for usa nd using the ideas of them.